For Linux users, the command line is an essentially, and ultra-powerful tool. 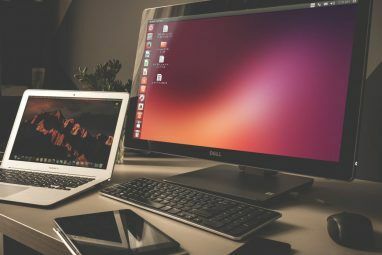 While more user-friendly Linux operating systems (OS) offer loads of functionality without the need for entering the terminal, it’s a necessary element of the OS. Contrary to popular opinion, the command line can even simplify certain actions. Whether you’re brand new to Linux distros, or a seasoned Linux veteran, the command line offers a bevy of uses. Try these tips for mastering the command line. 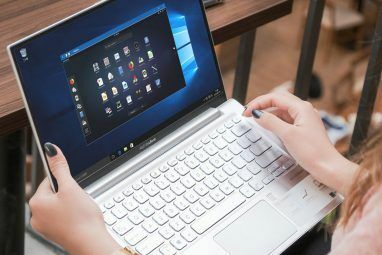 Although you can easily create, move, and navigate between folders with a graphical user interface (GUI), the command line is perfectly capable of handling files and folders. Changing directories is incredibly beneficial when installing software via the command line. To run an installer using the terminal, you’ll first need to change into the folder where that installer resides. If there aren’t folders for the full path, running this command creates directories for all of the folders in the path. Similar to how the move command handles files, if the second directory does not exist then the first directory is simply renamed. Yet if the second directory does exist, the contents of the first directory are moved into the second directory. Running this without the quotes will fail to navigate into that directory. From here, you may begin to search for commands. This performs the same action. 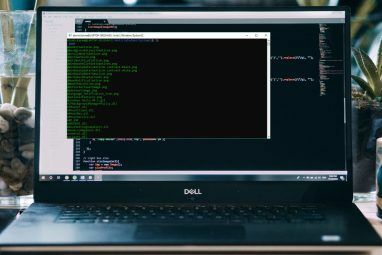 A PPA is a personal package archive Linux PPAs: Installation, Removal, and Security Linux PPAs: Installation, Removal, and Security PPAs -- personal package archives -- are a way to install Linux software via the Terminal. But are they safe to use? How can you remove a PPA? And which are the safest PPAs to... Read More , or software repository not included in the default Linux OS system install. In order to load some software, you’ll first need to add a PPA. Like many Linux actions, this is usually performed with the command line. runs the command once more, this time adding super user permissions the second time. It saves you from having to type everything out again. But that’s not the only method to repeat commands. You can also use the up arrow to see previously entered commands, and hit enter to execute them again. Alternatively, pressing Ctrl + P shows the previously run command. Then, hit enter to execute it. This yields a list of all the folders under the /apps directory. The Linux command line can seem daunting at first. But it’s not as complicated as it may appear. Managing files and folders, viewing the history of commands, and stringing commands together rank among the most common uses of the terminal. 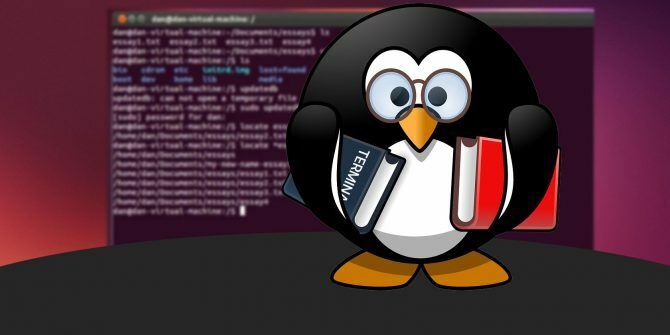 There are loads of beginner tips for learning the Linux command line A Quick Guide To Get Started With The Linux Command Line A Quick Guide To Get Started With The Linux Command Line You can do lots of amazing stuff with commands in Linux and it's really not difficult to learn. Read More . This multipurpose tool is even suitable for accessing Facebook Access Facebook From The Linux Command Line Access Facebook From The Linux Command Line Virtually everyone, especially in first world countries, is on Facebook. Friends, events, pictures, and plenty more are all commonly found on Facebook unlike any other location. However, an ultimate geek may not want to use... Read More . Want to run the command line on Android? Try Termux for the full functionality of the Linux terminal How to Use the Linux Command Line on Android With Termux How to Use the Linux Command Line on Android With Termux Replace tons of bulky Android apps with just one slim Linux command line app. Read More on Android operating systems. What tips for mastering the command line do you suggest? Explore more about: Linux, Linux Bash Shell, Terminal. What, no file completion with the [Tab] key? The Tab key will complete the filename for you so you get AndroidProjects. If you have more than one directory beginning with "And", the CLI will give you a list of those directories. it mus be: sudo !! "A PPA is a personal package archive, or software repository not included in the default Linux OS system install"
There is a very good reason for that. PPAs are repositories developed by third parties and are usable only by Ubuntu-based distros.. Ubuntu IS NOT the default Linux install and never will be. There are hundreds of other distros and most of them cannot use private repositories such as PPAs and AURs. I still prefer the GUI. I am a causal computer user and really don't want to learn and remember a bunch of commands if a GUI can do the same thing. No offense to those that do, I actually admire your commitment to the command line. Just not for me! are not the same command.on the first one, `sudo apt-get upgrade` part of the command gets executed, if and only if, the the first part of the command `sudo apt-get update` gets executed and finishes successfully. Whereas on the second line, both commands will run sequentially, regardless of the success or failure of the first command. Please do not mislead people. A ; B -- run A followed by B, regardless of whether A succeeds or not. Can someone explain/give example of what /path/to/folder/ means? Have tried google, but can only find PATH which I think is different to path. Not quite sure what to replace 'path' with. Thank you. your /path/to/folder/ string becomes /var/log/messages in this example. It is a figure of speech for the lack of a better term. "&&" and ";" arent performing the same action. "&&" executes the next command only if the command before exited with error-code 0. "For Linux users, the command line is an essentially, and ultra-powerful tool. " Command line may be a ultra-powerful tool but it is no way "essential" to the use of Linux. By saying that it is, you are feeding into the FUD, spread by Window Fans, that one must be a CLI expert to use Linux. This is not the 1990's. Many distros can be used perfectly well without having to resort to the use of CLI.